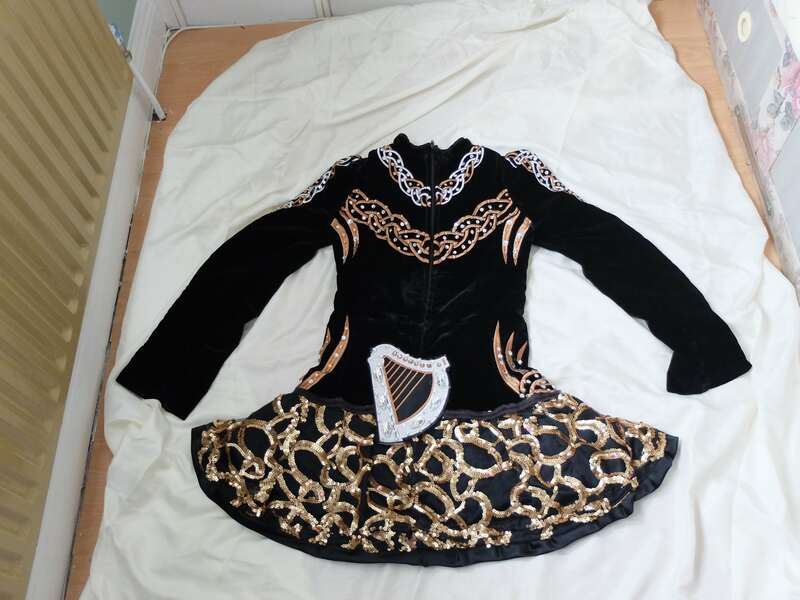 Stunning black and gold solo irish dancing dress for sale. 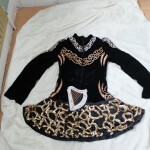 The dress is covered in swarovski crystals – hundreds added after we purchased for a major championships. The dress is very eye-catching on stage due to these popular colours and with such a crystal effect. The underskirt has red lace and there is a red kick pants included in sale. Dress has been kept in a smoke free environment. 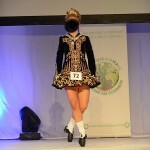 Suitable for dancer 15-17 years. There is an inch of material for letting out at zip area of dress.